PG for Violence 1 hr. 47 min. Trolls director Mike Mitchell directs this sequel to the smash-hit original, with Chris Pratt and Channing Tatum among the stellar cast. LEGO DUPLO® invaders come from outer space, wrecking everything faster than they can rebuild. 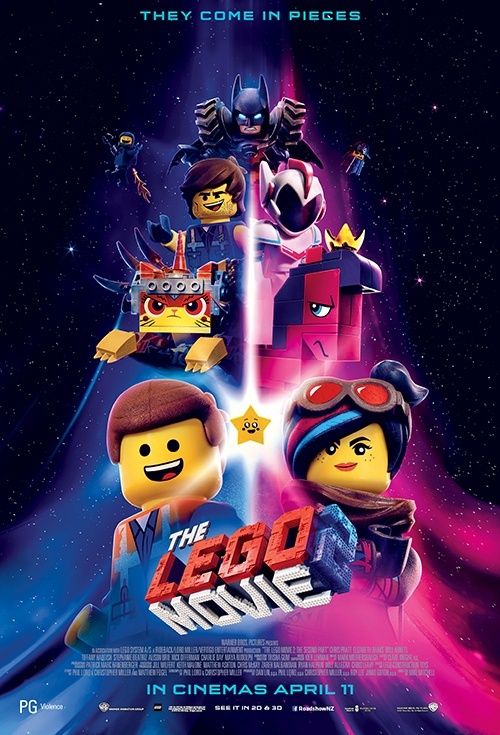 The battle to defeat them and restore harmony to the LEGO universe will take Emmet (Pratt), Lucy, Batman and their friends to faraway, unexplored worlds, including a strange galaxy where everything is a musical. It will test their courage, creativity and Master Building skills, and reveal just how special they really are.